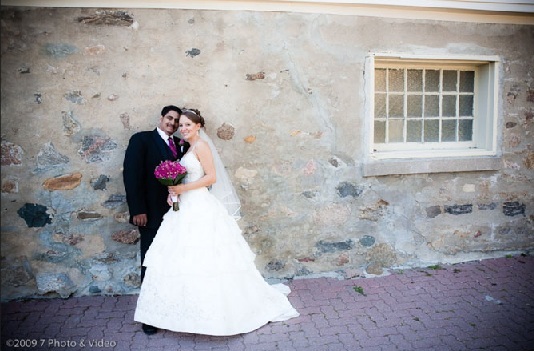 Maureen and Davindra (Davy) got married on September 3 & 4, 2011. 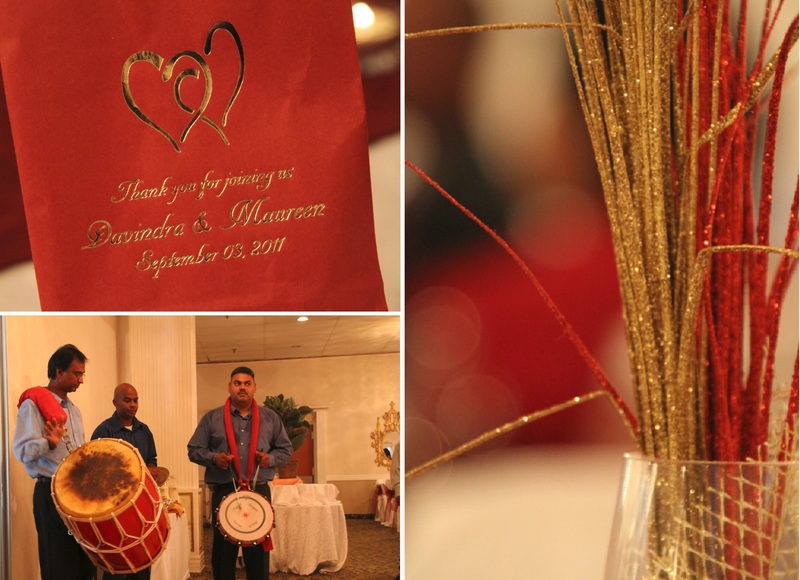 Morganley Weddings & Events was hired for Month of Management for this special two day Hindu Ceremony & Christian Ceremony and Reception! 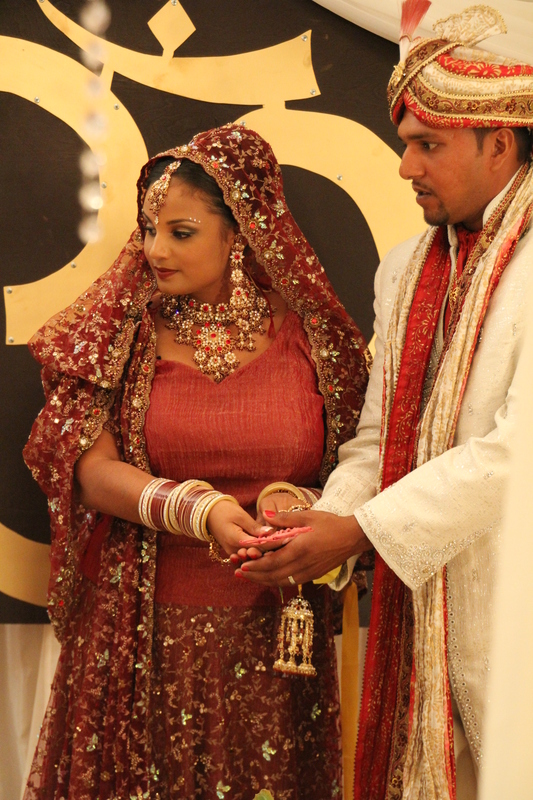 The Hindu ceremony colours were a gorgeous red and gold! 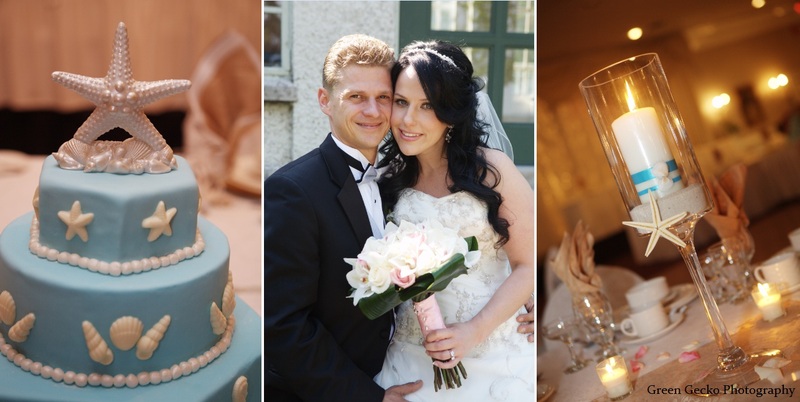 Maureen and Davy put so much work into this wedding! They designed the centerpieces for both days, the cake and even had a customized cake topper with their faces inside glass! 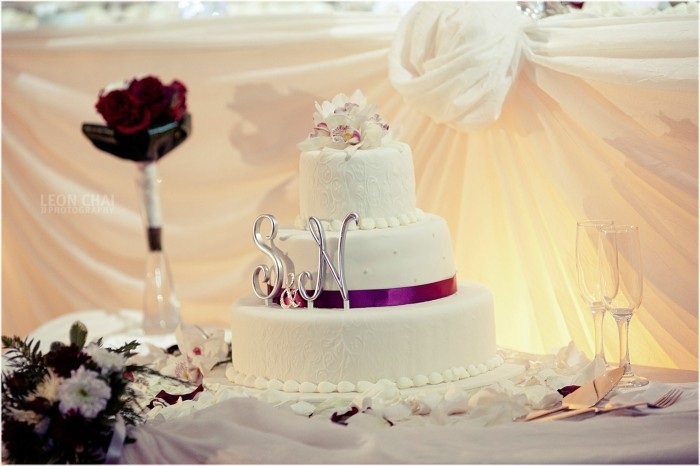 All celebrations took place at Elite Banquet Hall in West Toronto. The staff at this hall were incredible! Nothing was overlooked and their cooperation was amazing! Nino and his team did a great job! 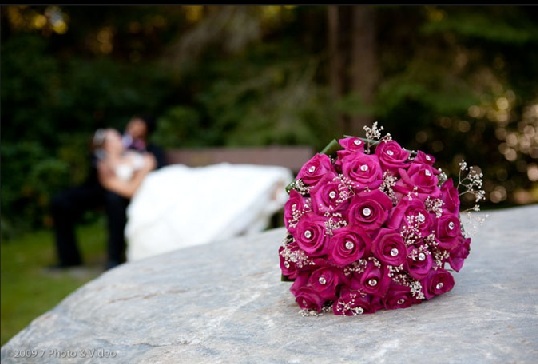 Saturday September 3rd, 2011 was the Hindu Ceremony. 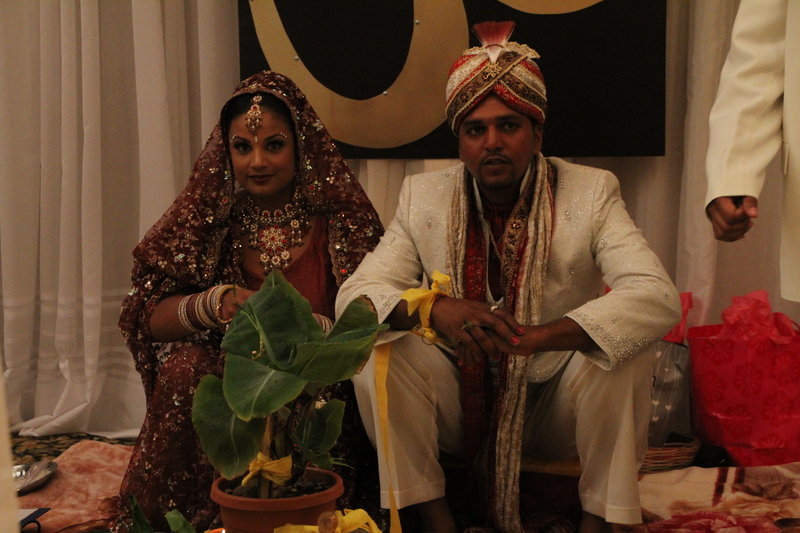 This was my first Hindu Ceremony and I was excited to see how it flowed. 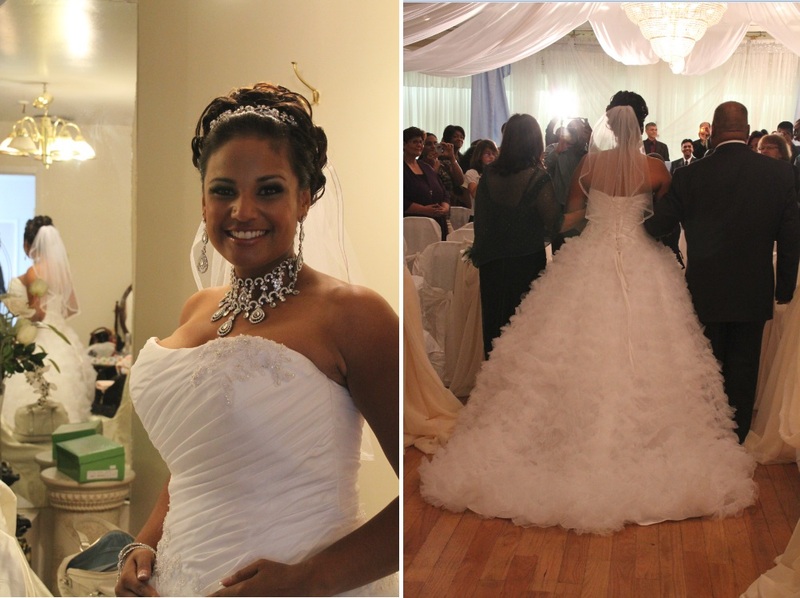 Maureen looked absolutely stunning dressed head to toe in traditional attire and jewelry. Davy was greeted outside by Maureen’s female family relatives and the Tassa Group! 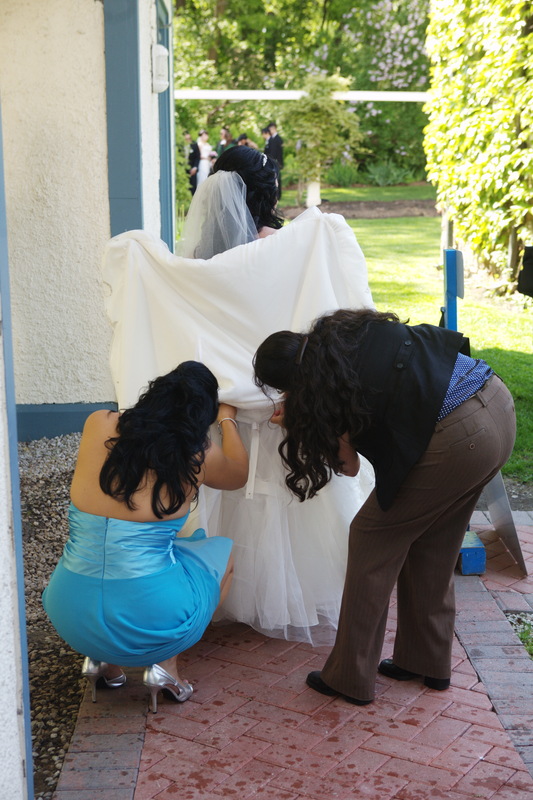 The ceremony was underway while family and friends enjoyed refreshements and light hors d’oeurves. 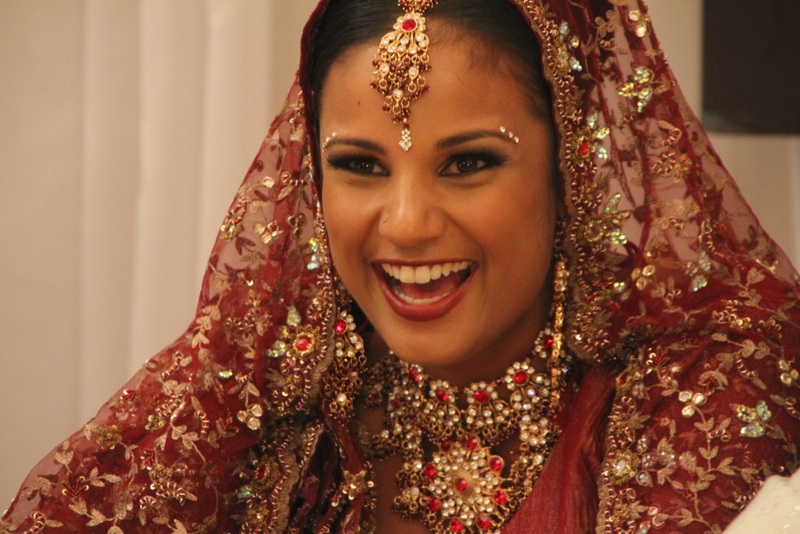 Maureen during the Hindu wedding ceremony! Isn’t she gorgeous?? The next day was the Christian ceremony. The room had been completely transformed into a white ceremony room with blue accents! Designs by Sherville created the stunning alter backdrop for the ceremony and later on, the reception backdrop. 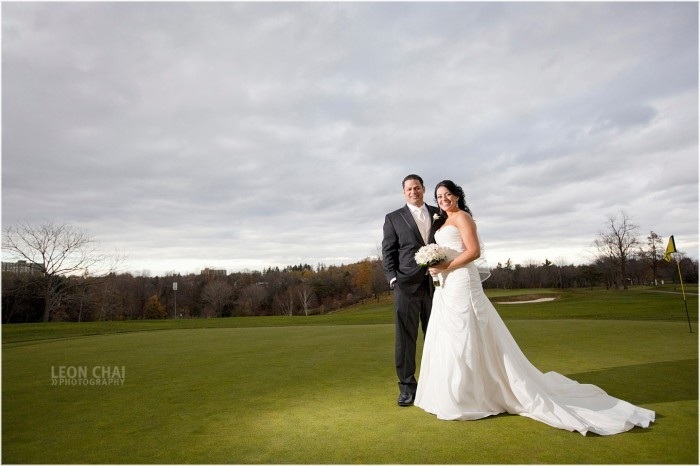 Maureen’s dress made her look like she was floating on a cloud! She was so beautiful! After the ceremony, the bridal party went for photos and Elite Banquet Hall and Morganley Weddings & Events flipped the room to set it for the dinner and dance reception. The room sparkled with crystals!! The room was revealed to Maureen and Davy who absolutely loved it! 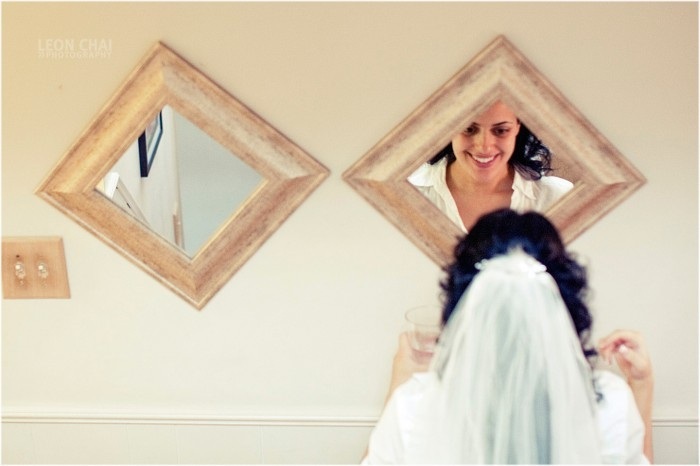 It was everything they imagined and planned for their wedding! 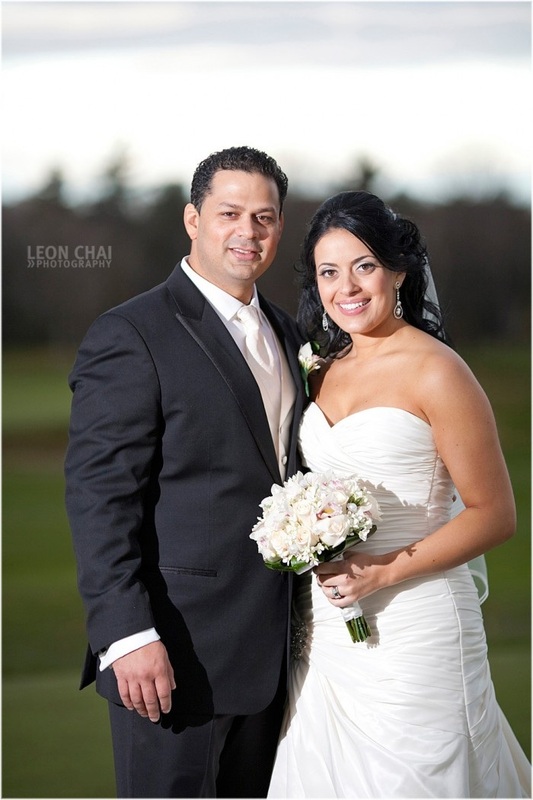 The newly married couple enjoyed their reception and danced the night away! 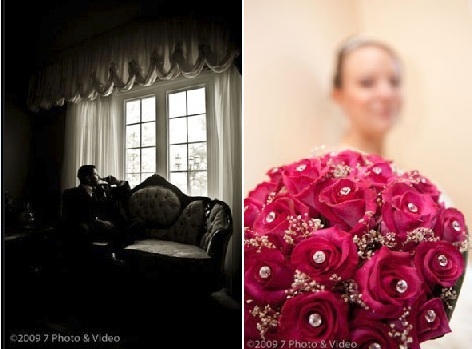 Congratulations Maureen & Davy and thanks for having Morganley be a part of your wedding weekend!